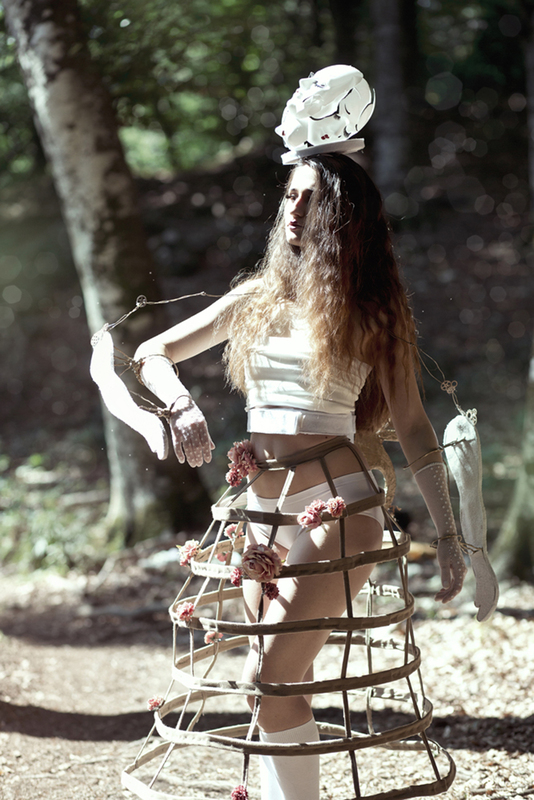 Elisa Scascitelli is a fine-art & fairy-tales photographer from Italy. Her sources of inspiration are nature, mystery, the search for something infinite leading to continuous questions without answers. She loves the forests and the sea, the wild places, where man is small and is powerless before the stateliness of the nature. Decorated gardens and labyrinths are but one of the pleasant obsessions of her soul. Elisa loves fairy tales and all that is innocent and childlike, because it is pure and is not stained by the experience of an adult. "Mechanical doll" is a fable project of an automaton that has come to life through the body parts of other dolls, puppets, and masks. She was found by a hunter in an old abandoned theater warehouse. In this magical place was everything; mannequins, dolls, sets and curtains all slept as if under a spell, forlornly waiting to tell new stories. The hunter decided to save this poor doll forgotten by everyone. He brought her into the forest and tried to fix every piece, taking gears, mechanical parts, and accessories from the warehouse. After days of work the hunter decided to wind the big key on the back of the doll. She began to move and to resume life. She thanked the hunter to rescuing her from the darkness of her days and he told of how in the past years, children and adults loved going to the theater of dolls and puppets, until came technology, and everything went up in smoke. The dream and the hope of returning to life was became, for her, only a faded memory.